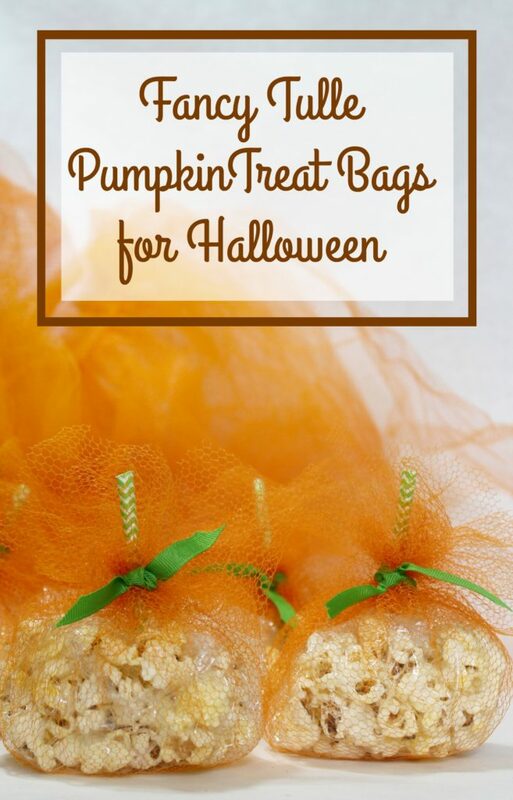 These fancy little tulle pumpkins are super easy to make and a super cute edition to your Fall or Halloween themed party! Here is how you can make them yourself. 1.) Cut the tulle into square pieces approx 1 foot x 1 foot. 2.) Tear off sheets of plastic wrap that fit just inside the tulle. 4.) 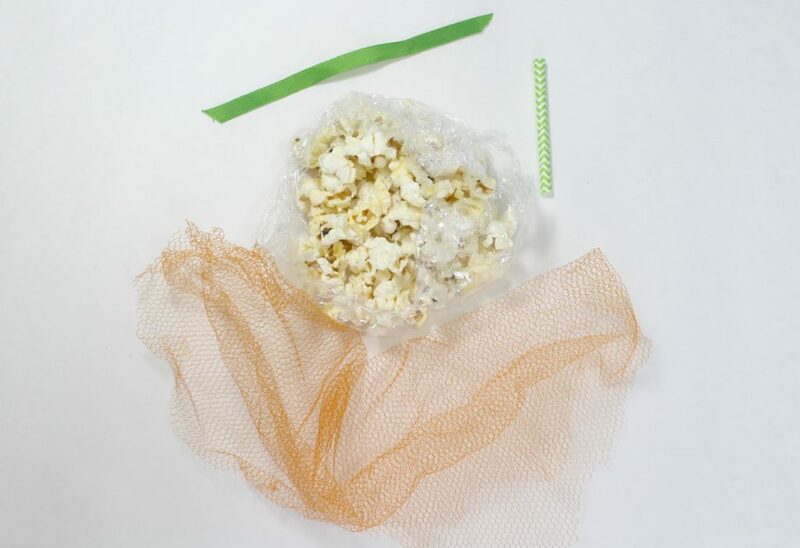 Add popcorn and wrap up the popcorn in the plastic wrap and tulle. 5.) 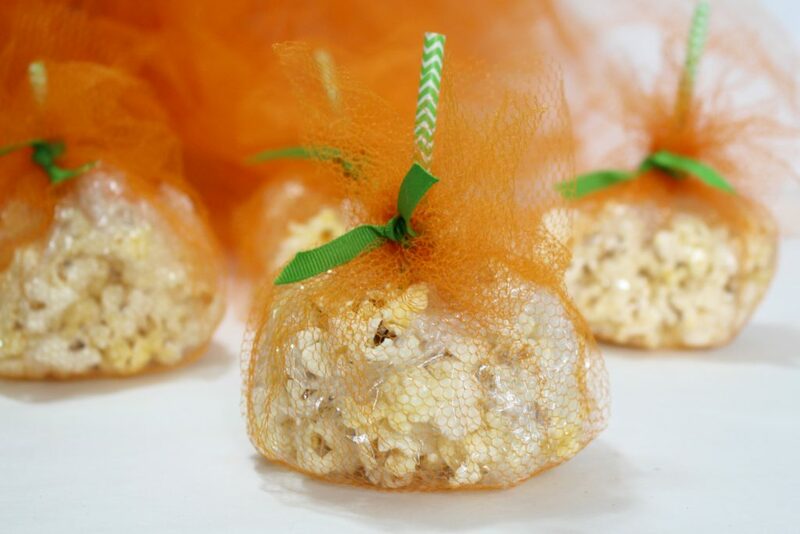 Secure with a green ribbon leaving enough space to add a piece of straw for the stem. 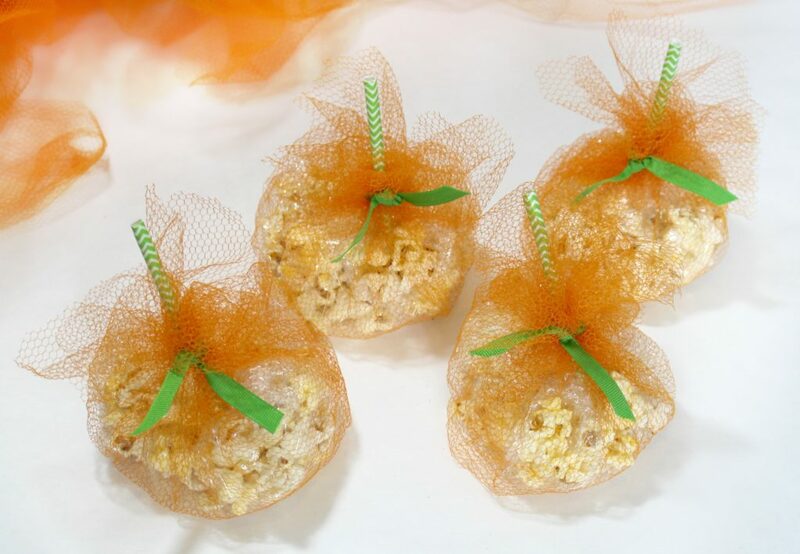 DIY & Crafts, fun foods, Party, Special Occasions. permalink.